See the full story: DTA/NAOJ Press Release "Little Supernova is Big Discovery: the Origin of Binary Neutron Stars"
In this research, "PC Cluster" and the supercomputer "ATERUI" operated by CfCA were used for calculations of stellar evolution and simulations for observational characteristics of a ultra-stripped supernova. "PC Cluster" (upper panel) is the system for small-scale and non-parallel simulations. This system consists of 224 nodes as of October 2018. 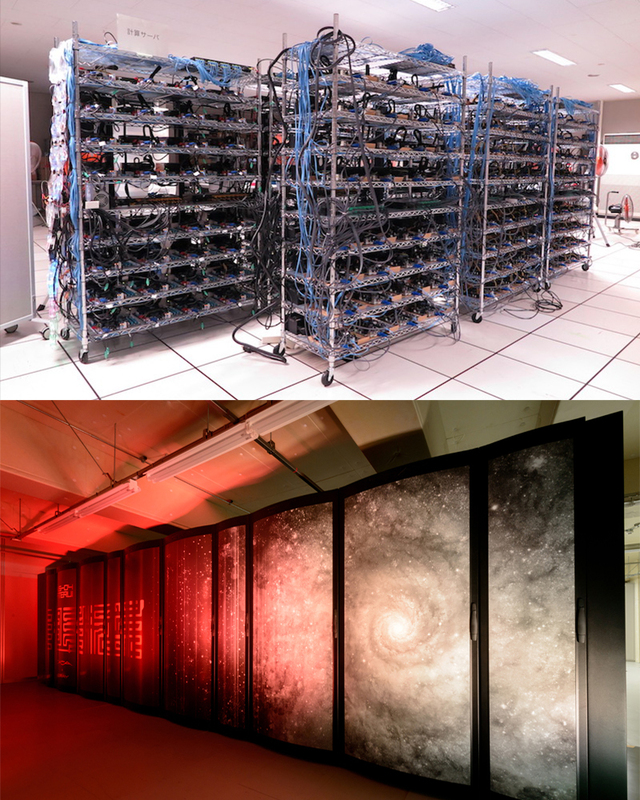 "ATERUI" (lower panel) is NAOJ's 4th generation supercomputer dedicated for astronomical simulations. The theoretical peak performance is 1.058 Pflops. This system had been operated until March 2018. 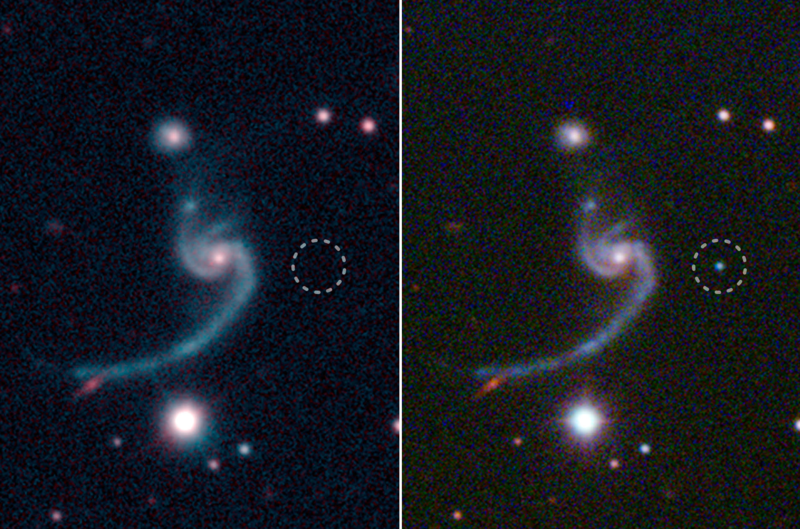 Title: "A hot and fast ultra-stripped supernova that likely formed a compact neutron star binary"
Department of Theoretical Astronomy (DTA), NAOJ Press Release "Little Supernova is Big Discovery: the Origin of Binary Neutron Stars"
NAOJ Press Release "Little Supernova is Big Discovery: the Origin of Binary Neutron Stars"
Caltech/GROWTH Press Release "Dying Star Emits a Whisper –– The death of a massive star and the birth of a compact neutron star binary"